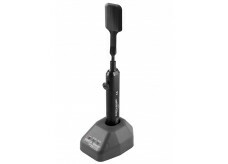 PORTA-VAC II BATTERY OPERATED WAFER HANDLING TOOL, Comes with one MOLDED Wafer Tip. Easily Lifts over 500 grams. 9V Battery is included. PORTA-VAC II BATTERY OPERATED WAFER HANDLING TOOL. Easily Lifts over 500 grams. 9V Battery is included. PORTA-VAC SERIES 3 BATTERY OPERATED WAFER HANDLING TOOL, with vacuum level indicator. Comes with one MOLDED Wafer Tip. Easily Lifts over 300 grams. 9V Battery is included. 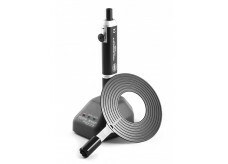 PORTA-VAC SERIES 3 BATTERY OPERATED WAFER HANDLING TOOL, with vacuum level indicator. Easily Lifts over 300 grams. 9V Battery is included. 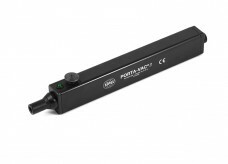 PORTA-WAND BATTERY OPERATED WAFER HANDLING TOOL. Comes with a fixed internal 9.6 NiMH Rechargeable Battery, In-Stand Charger (P/N VPW6000BQ-CHRG), easily fits over 500 grams. PORTA-WAND BATTER OPERATED WAFER HANDLING TOOL. Comes with a fixed internal 9.6 NiMH Rechargeable Battery, In-Stand Charger (P/N VPW6000BQ-CHRG), easily fits over 500 grams. PORTA-WAND BATTERY OPERATED WAFER HANDLING TOOL. 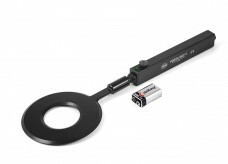 Comes with a fixed internal 9.6 NiMH Rechargeable Battery, easily fits over 500 grams. PORTA-WAND BATTERY OPERATED WAFER HANDLING TOOL. 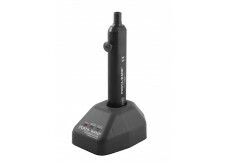 Comes with vacuum level indicator, a fixed internal 9.6 NiMH Rechargeable Battery, In-Stand Charger (P/N VPW6000BQ-CHRG), easily fits over 500 grams. Copyright © 1999 - 2019 SIPEL ELECTRONIC SA. All rights reserved. The content of this site is subject to change without notice.